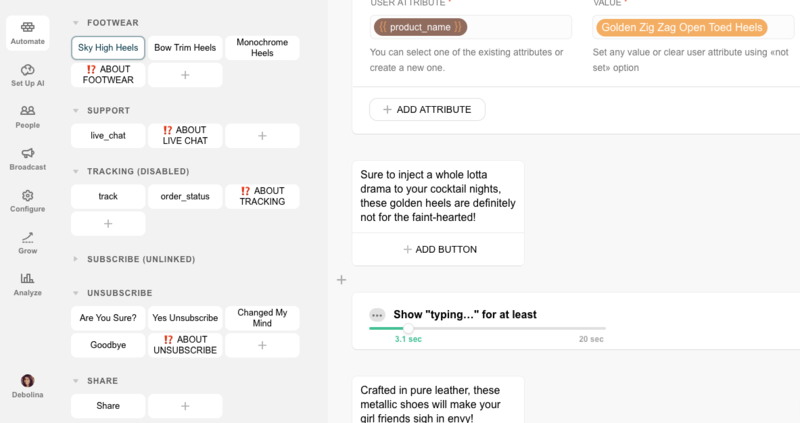 Showcase a gallery of your beautiful products to your users and nudge them to buy (either within the bot or via links to your product pages) while underlining the highlights of each piece to ensure that they buy! 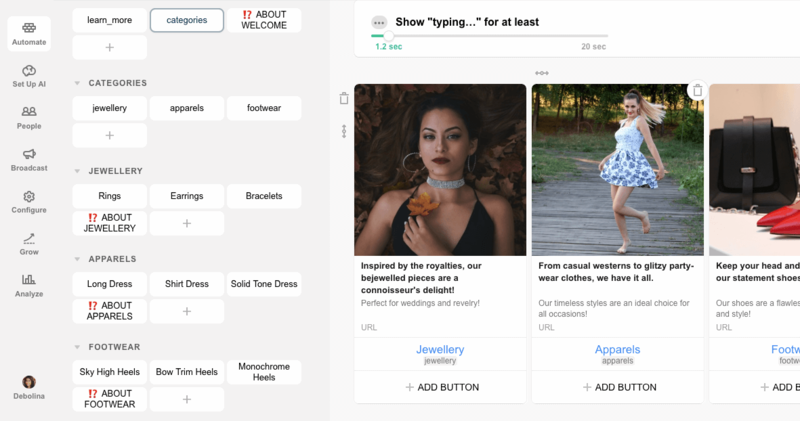 Show the products in a gallery with a 'more about this' button for each product to begin a funnel that takes the user through the distinguishing features of each product, styling tips and persuades them to buy. 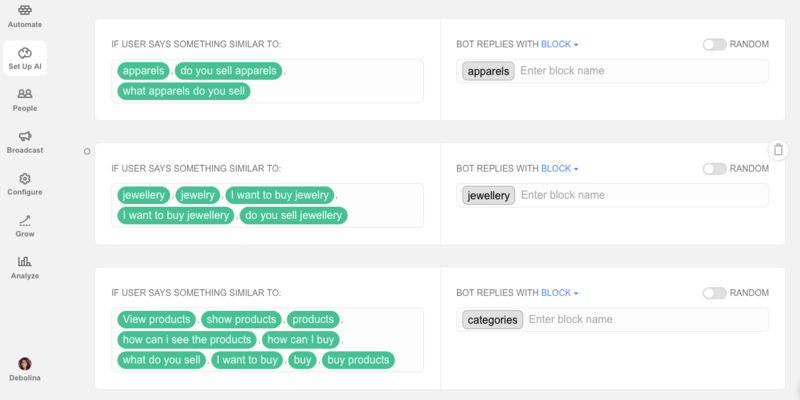 You can enable tracking by integrating the bot with your tracking service. The requisite blocks are pre-built. Users can choose to explore what the store is about and its USP. 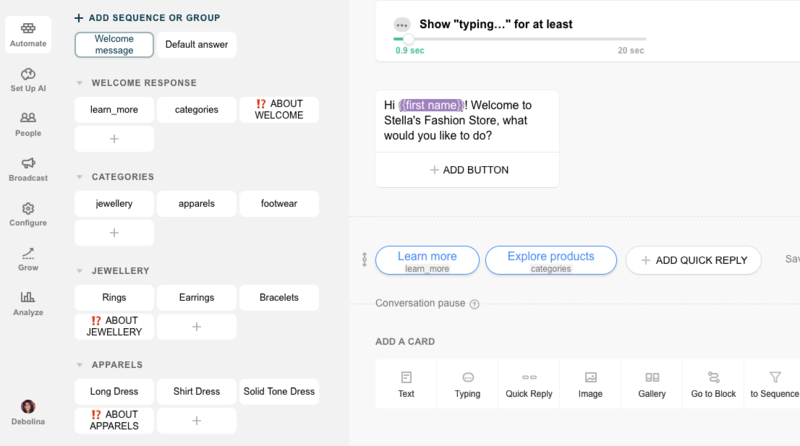 You can engage the user by sending them to your blog or giving more info about the store and the best-selling products. In every group, there's a block explaining the purpose of that group of blocks. Detailed instructions are given so that you can easily understand and modify the flow.